Luis, the “Bail Bondsman” is serving Hartford County, New London County, New Haven County, and all CT towns 24 hours a day! Luis is a Hartford native who grew up in East Hartford and attended the East Hartford School System. His popularity, charisma, and great personality brought him to different opportunities such as bartending and promoting various bars and clubs in greater Hartford with a great deal of success. Being of Hispanic descent and having family in Puerto Rico, he enjoys assisting the Hispanic community and ensures they get accurate information about their loved one’s bail. 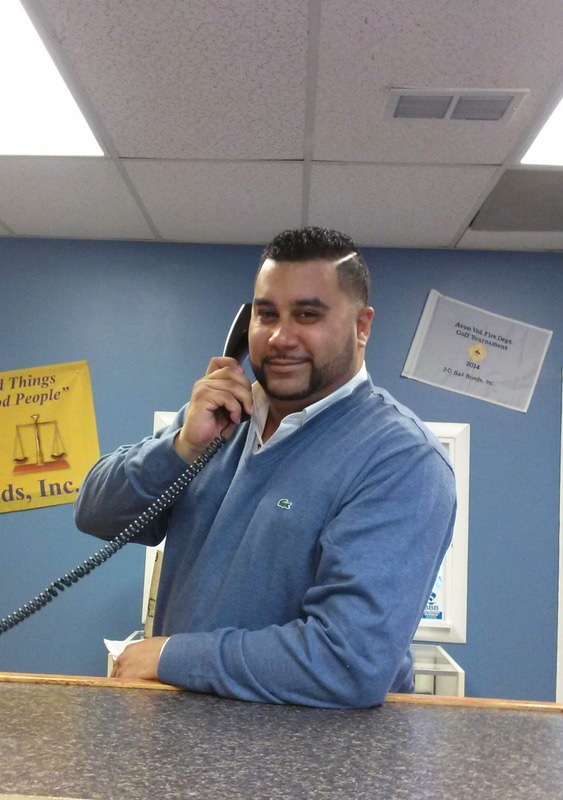 As a customer service coordinator, Luis provides information and underwrites the requirements in processing a bail bond. He cares for his customers and takes pride in offering personalized assistance during their difficult time. His friendly personality along with his bilingual (English-Spanish) skills allows him to help customers in a professional and fast manner. In November 2017 Luis excelled in passing all of the State of Connecticut requirements and obtained his Bail Agent License. We couldn’t be more proud of him as his career develops. As a family man, he loves spending time with his son, large extended family and many friends. He considers family the greatest joy in life. Luis is a father and understands that when a local bondsman is needed, the situation is urgent. He will be there for you immediately. Learn more about what customers are saying by checking a review from one of his many happy customers.